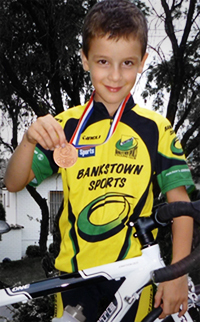 Cycling is an excellent sport for all ages, however modern high performance bicycles are not designed to accommodate children’s body proportions and small size. 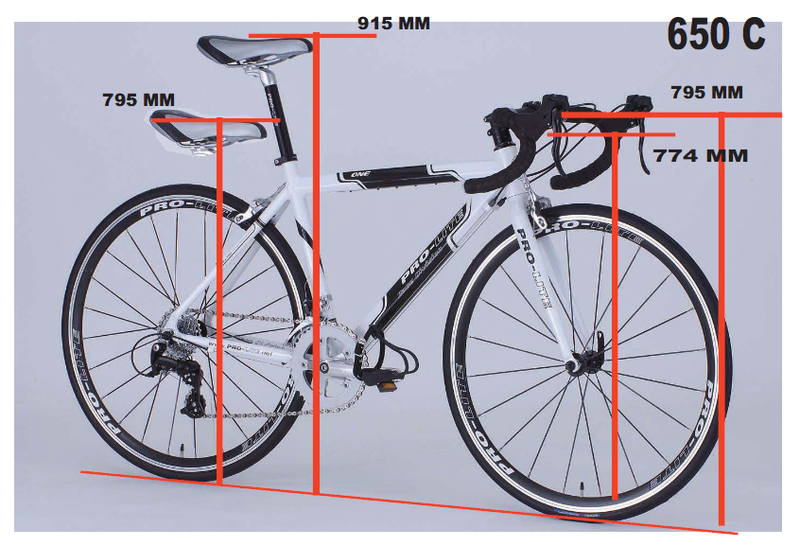 To date no brand or supplier has been able to replicate the real race geometry into a children’s bike due to the fact that everything is designed for adult bikes. 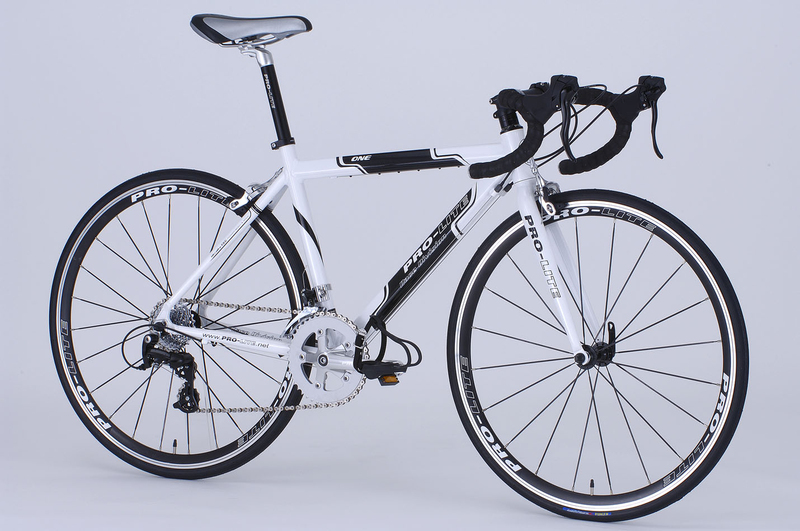 Pro-Lite developed The One in 650c and 24” wheel size in response to the requests from the Italian Cycling Federation to meet the need for a true high performance road racing bicycle for use by the up and coming young riders. 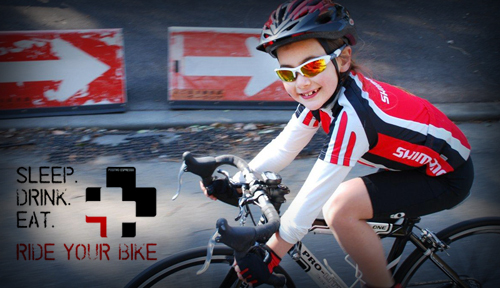 Riders as young as six can now ride competition level road bikes. 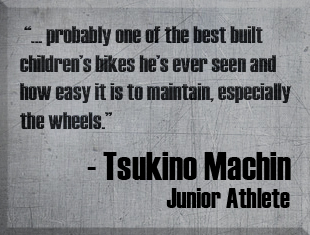 In the Dutch Bike Motion a 4 year old boy was presented with a 24” wheel version by his parents. The custom handmade wheels are smaller 650c or 24” in size, with the frame proportions adjusted to allow comfortable reach to the handlebars and achieve a low stand over height. The handlebars are specially made so that children’s smaller hands can safely and comfortably operate the brakes and shifters. Both versions now use the contemporary integrated brake levers and shifters on the handlebars. Front and rear shifters are Shimano, matched to Shimano RD2300 front and rear derailleurs with a SRAM cassette which matches the derailleur indexes the best for the most accurate shifts. The crank set is specially made with shorter crank arms and offset to ensure safety, smooth shifting, efficiency and comfortable use by children. 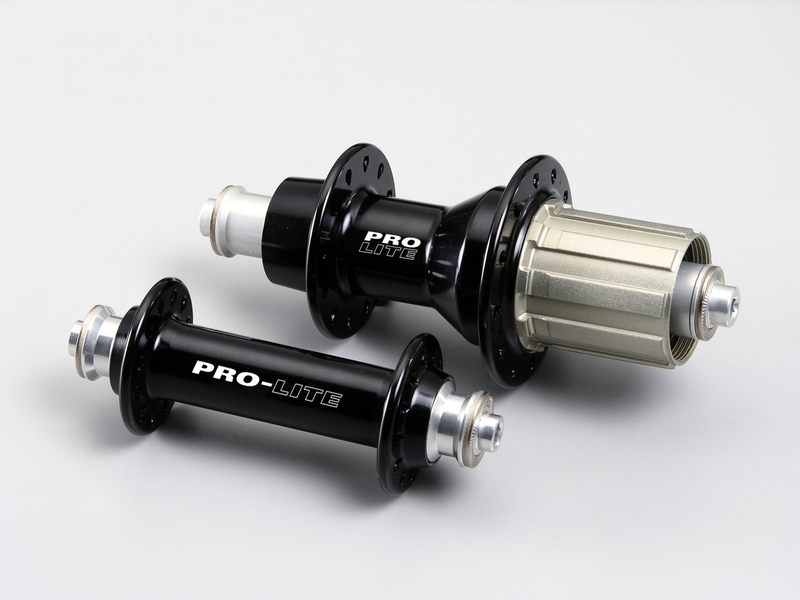 The 24" uses 145mm cranks, while the 650c uses a 160mm. 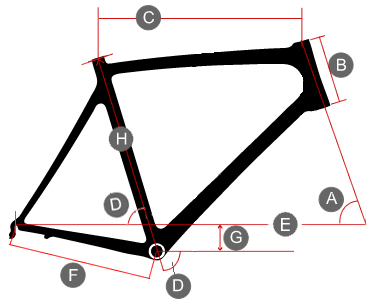 The frames are made from the custom made Pro-Lite PBS tubing in the Pro-Lite factory in Taiwan that ensures that this frame is as light as possible and that it delivers on its road racing promise. 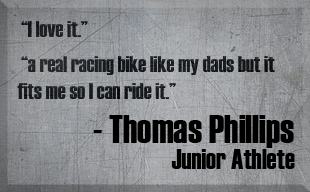 The Pro-Lite The One children’s road racing bicycle is used by cycling federations worldwide to develop the next generation of champions. Want more information on sizing?